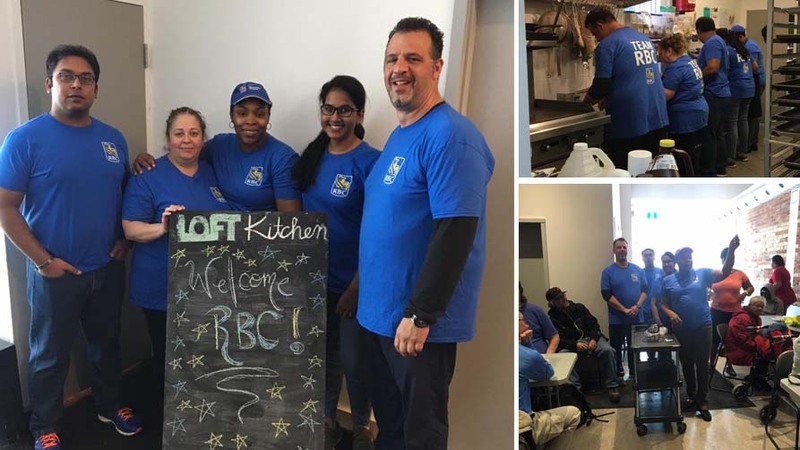 This past weekend, our Drop-In & Food Access Centre was very lucky to host a great team of volunteers from RBC (from 235 Dixon Rd, Etobicoke); Frank, Rosemarie, Shourya, Sumit, and Antonella warmed everyone here with their wonderful hearts and laughter and worked very hard helping us with prepping food, cleaning, serving lunch, and even played bingo with a raffle for our participants. We had some much fun working these guys, and so did our Drop-In participants! Not only did our TEAM RBC volunteers work hard, but they also were wonderful with offering us a very generous donation. Since 1999, RBC has donated more than $24 million in celebration of employee and retiree volunteer efforts. RBC believes that when employees and retirees volunteer their time and expertise and play a vital role in helping build better communities. We would like to congratulate and thank RBC again for providing us with such a great team of volunteers, along with their time, hard work and sweat, and gracious attitudes and smiles. Our participants loved them! 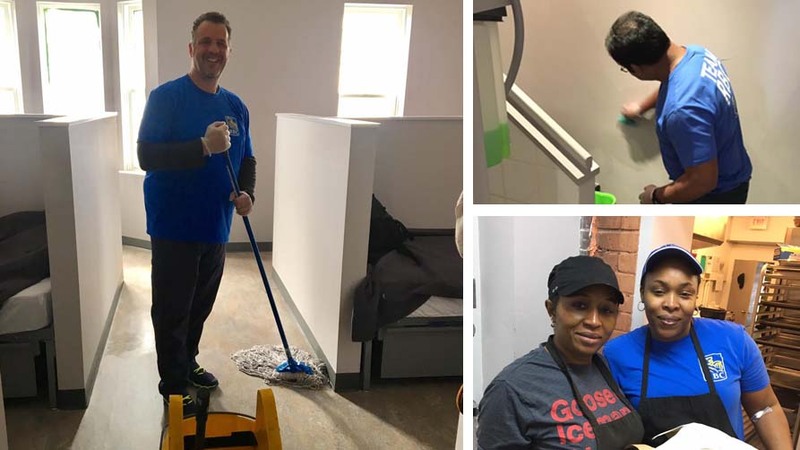 Are you a part of a larger corporation and are interested in donating your time and energy for a good cause here at Christie Ossington Neighbourhood Centre? If so, please visit our website link below for more information. We look forward to working with you.